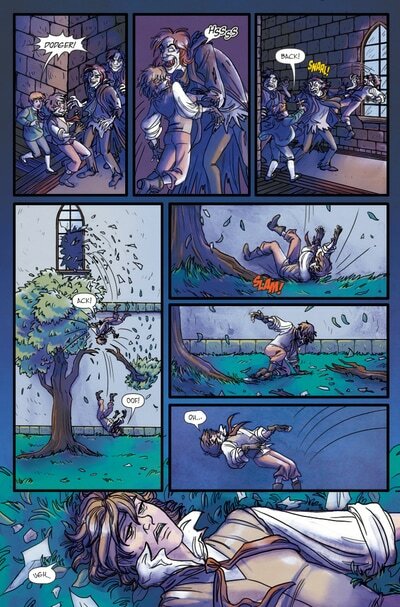 For Artful I looked at Peter David's work and used it to decide what dialogue and sound effects should go on each panel. 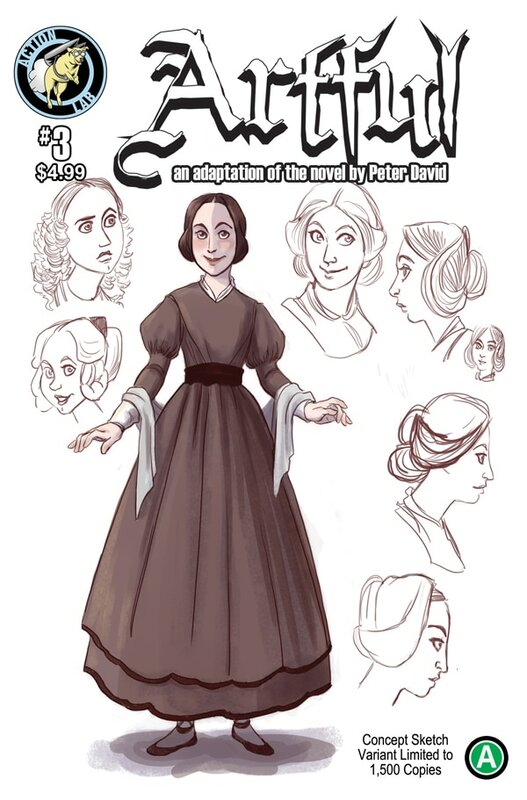 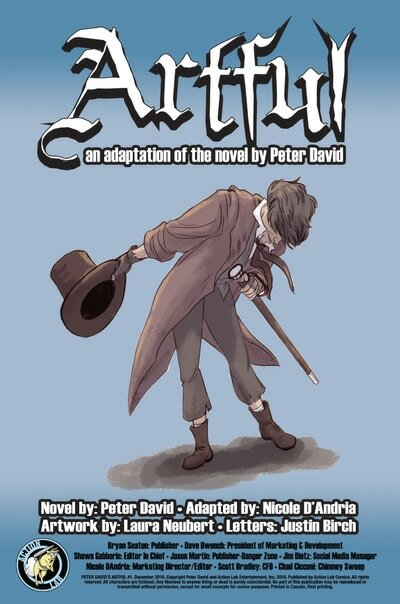 ​(on ComiXology) Award winning author and comics legend, Peter David, brings the adaptation of his novel, Artful, to Action Lab! 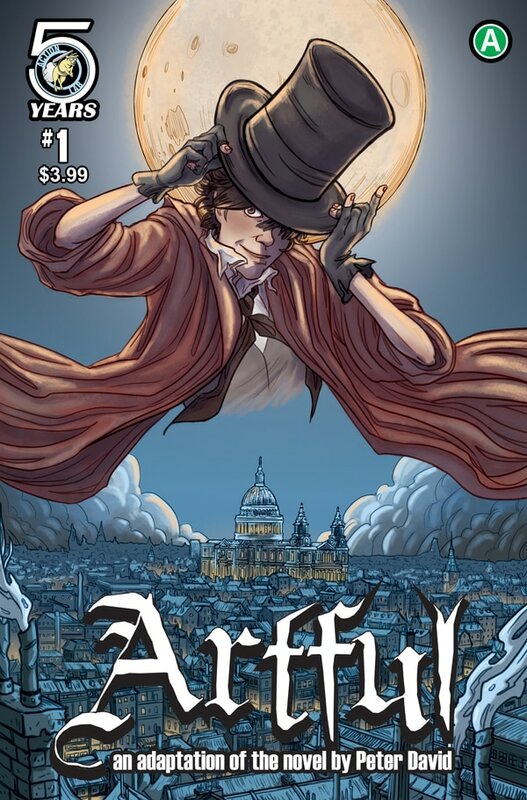 Artful is the dark, funny, and action-packed story of one of the most fascinating characters in literary history, the Artful Dodger from the classic Oliver Twist, this time with a twist: Vampires. 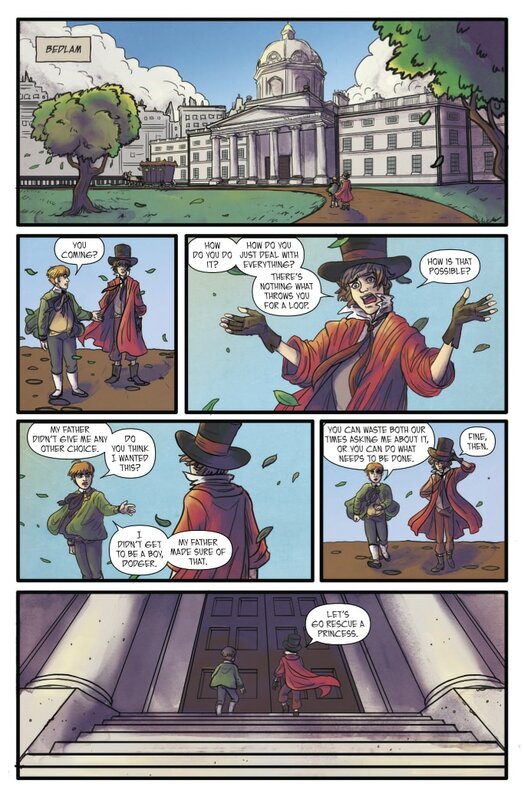 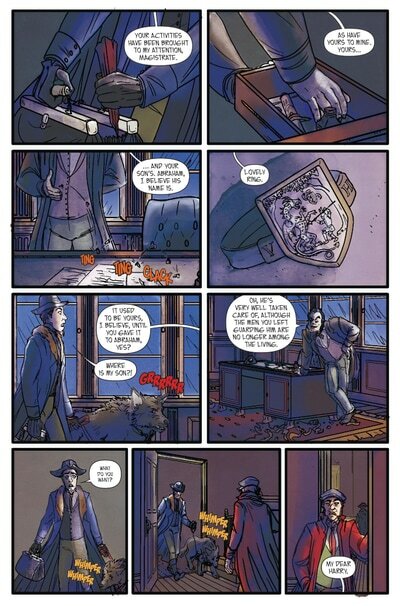 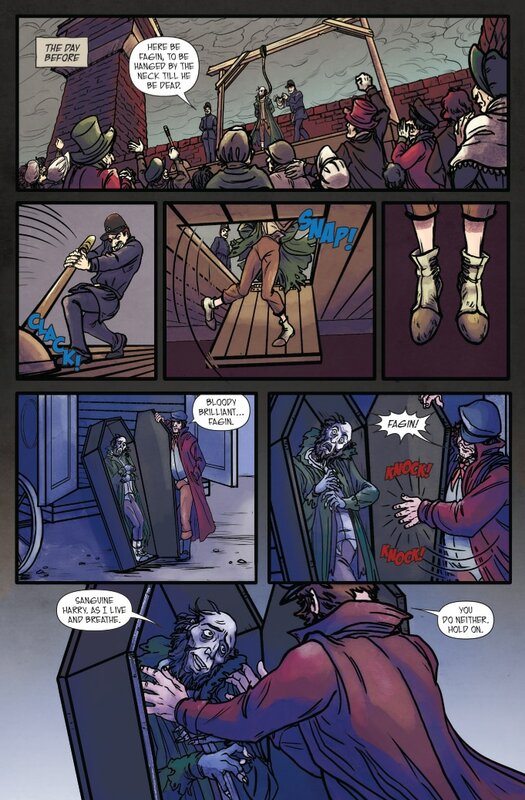 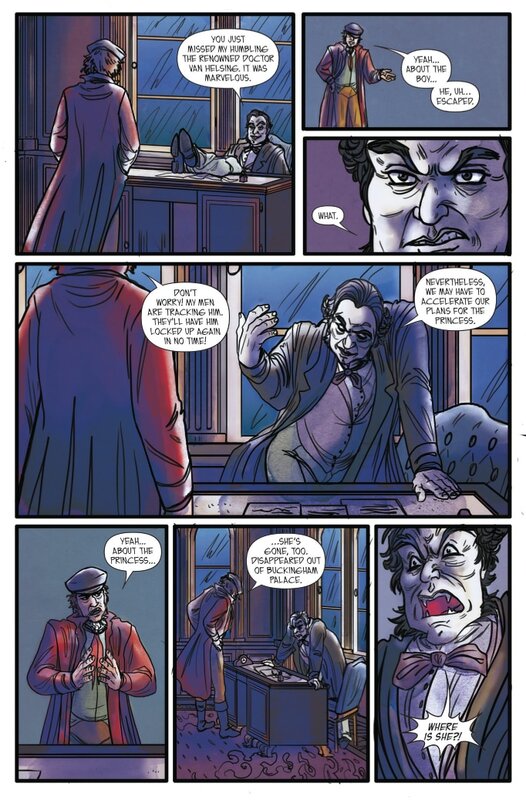 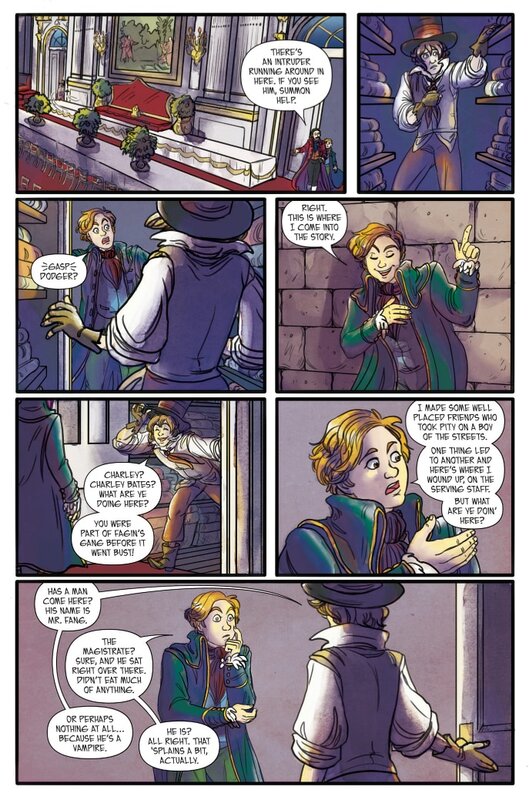 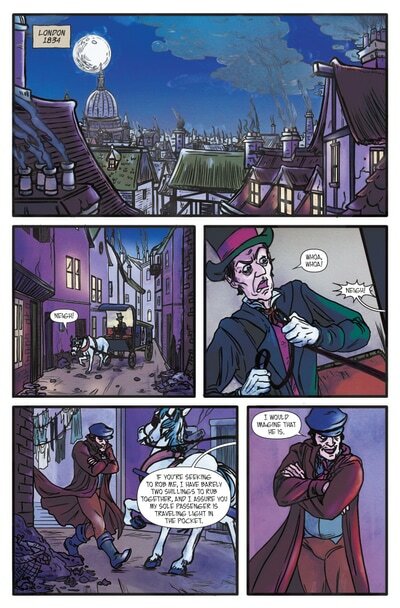 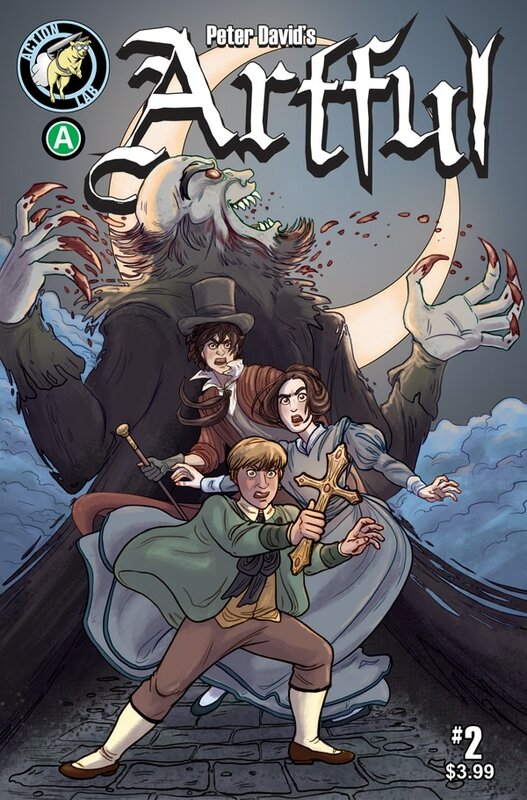 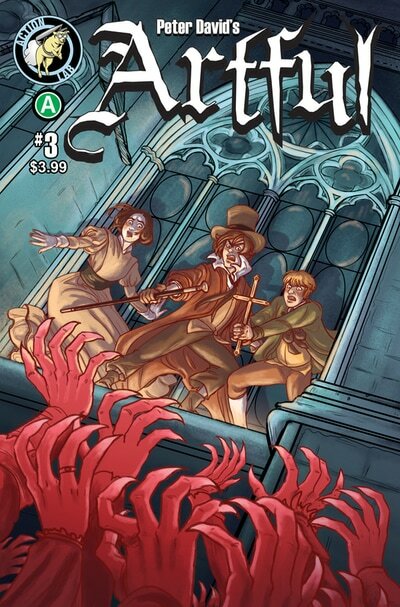 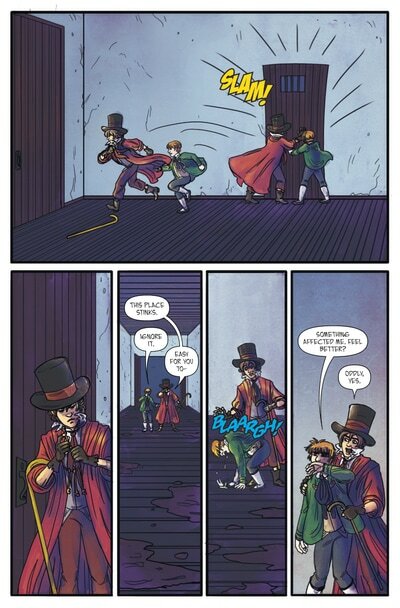 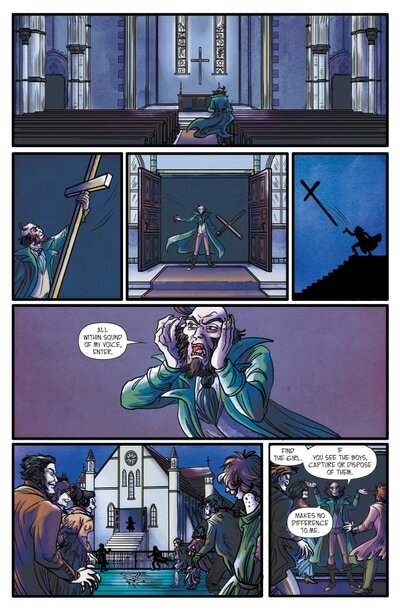 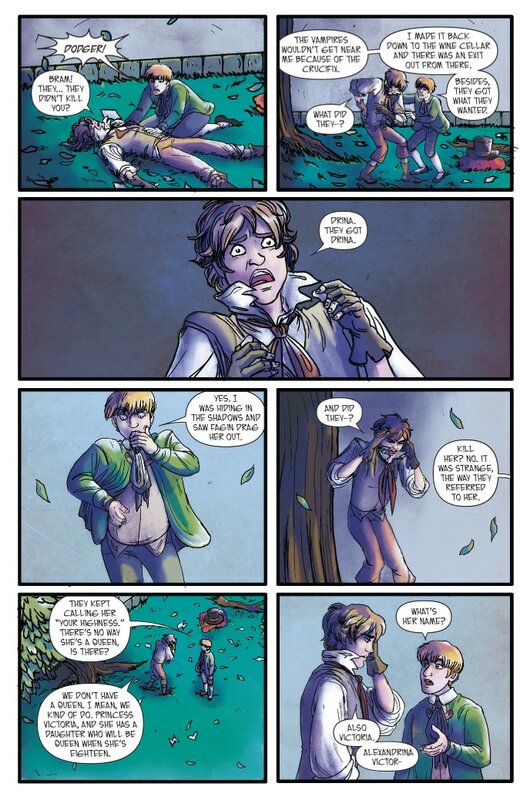 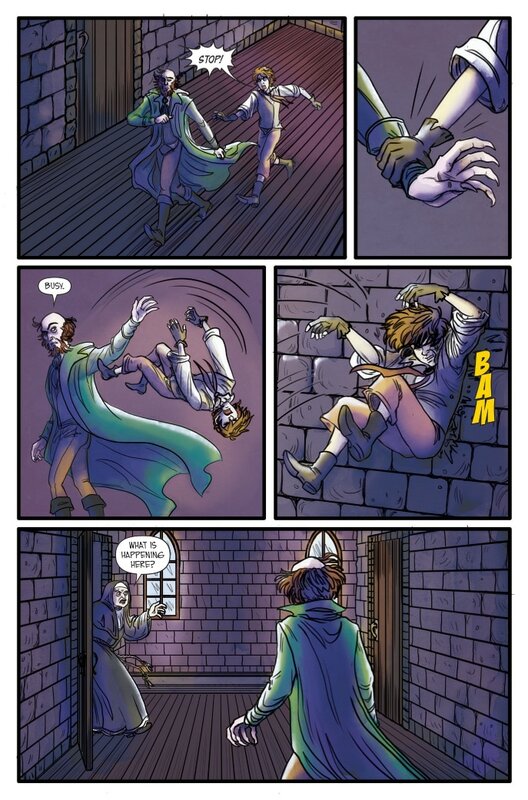 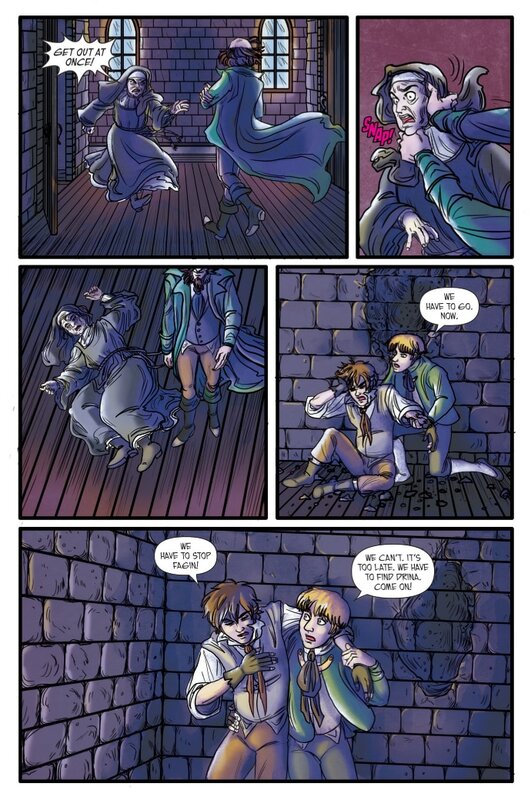 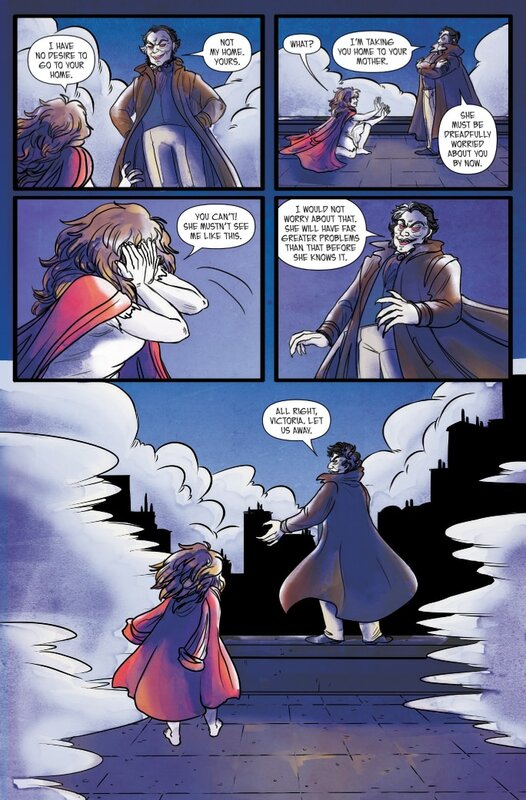 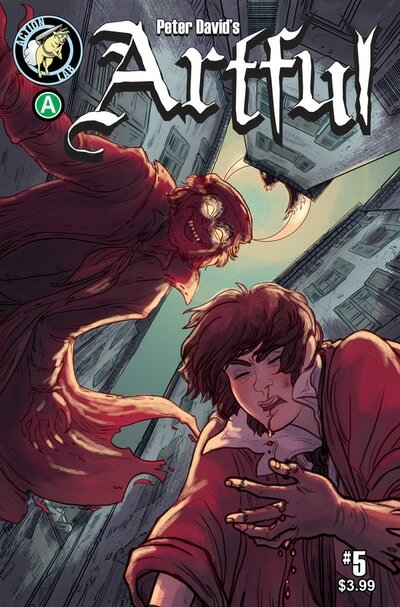 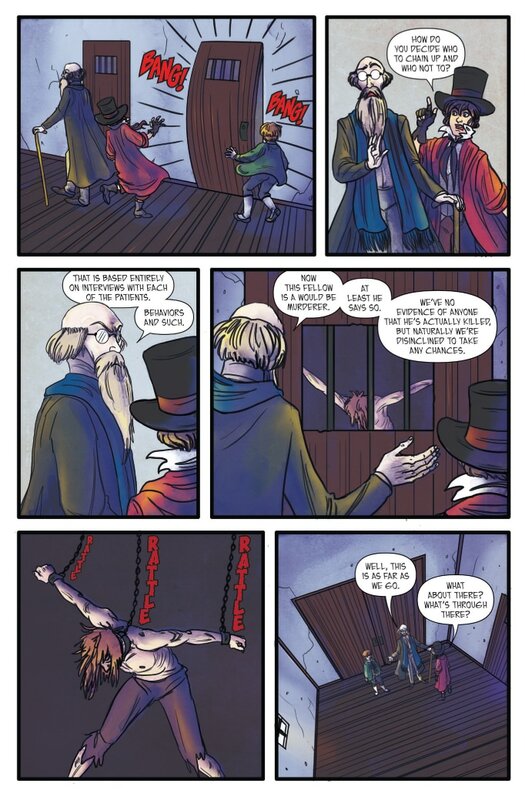 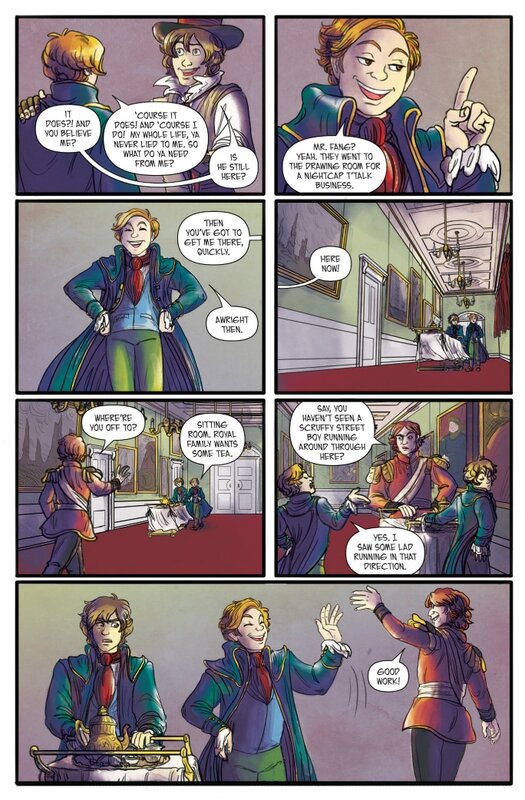 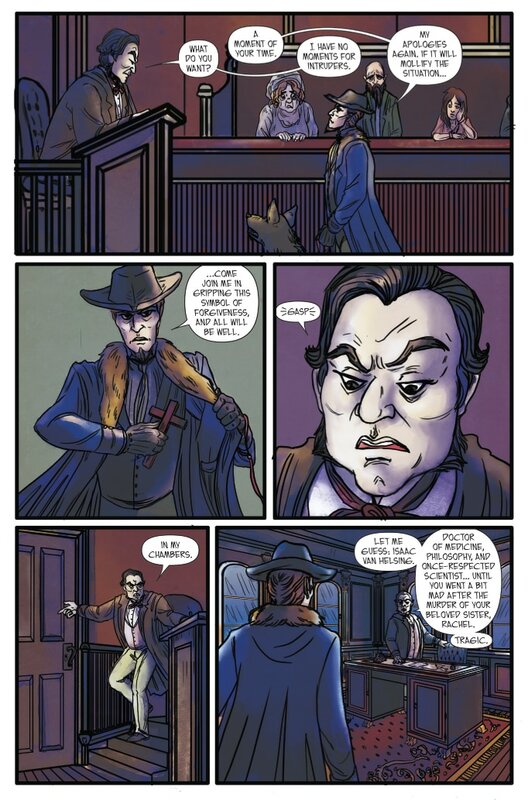 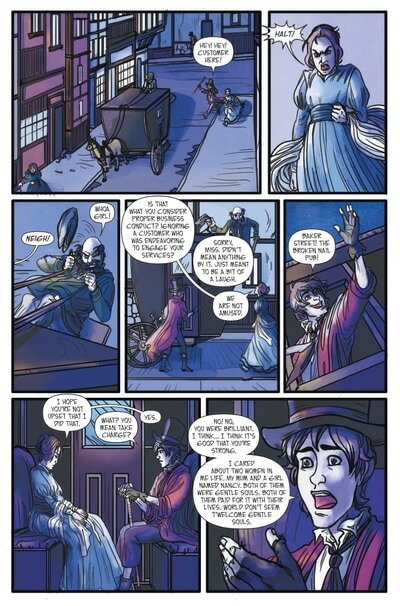 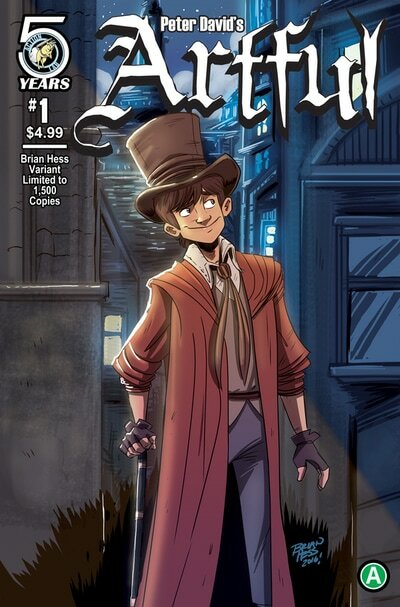 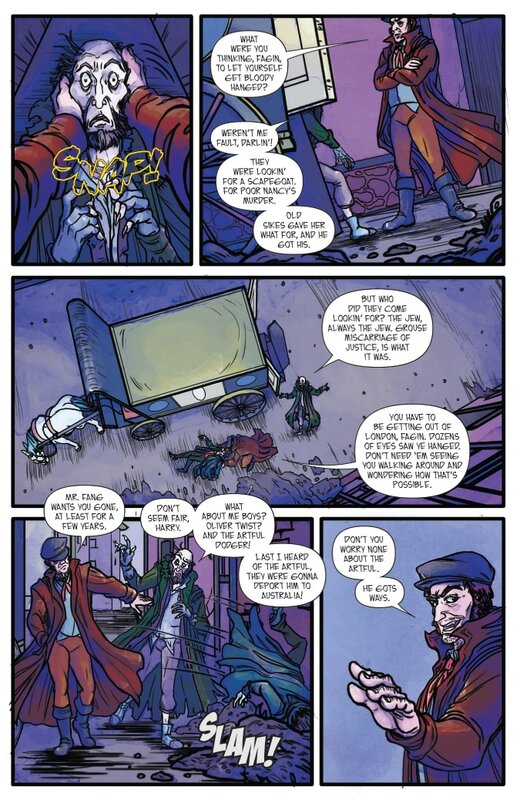 (on comiXology) An adaptation of award winning author and comics legend Peter David’s novel Artful, this Oliver Twist spin-off has a dark comedic twist: vampires. Mr. Fang is confronted by Van Helsing while Dodger and his new friend Drina search for Van Helsing’s son Bram. 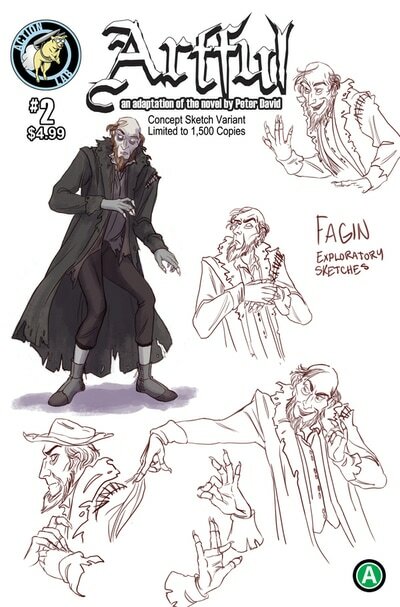 Plus there are vampires. 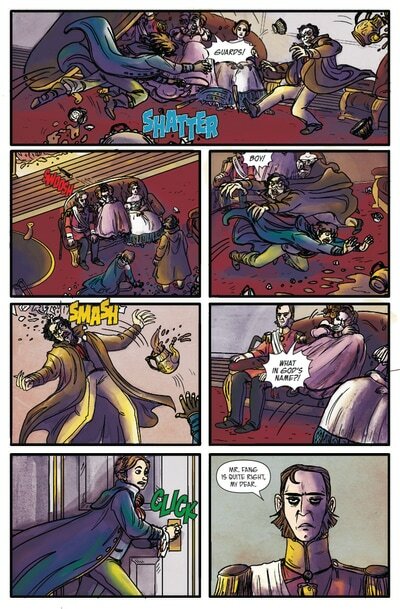 Lots and lots of vampires. (on comiXology) Artful and Bram must break into Bedlam to save Drina. 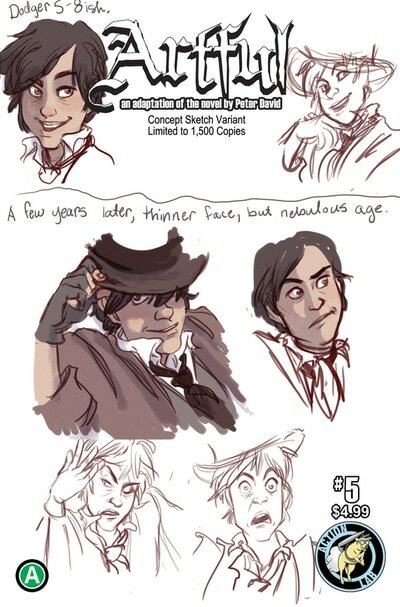 But are they already too late? And can they survive the hospital staff and a horde of vampires thirsty for their blood? 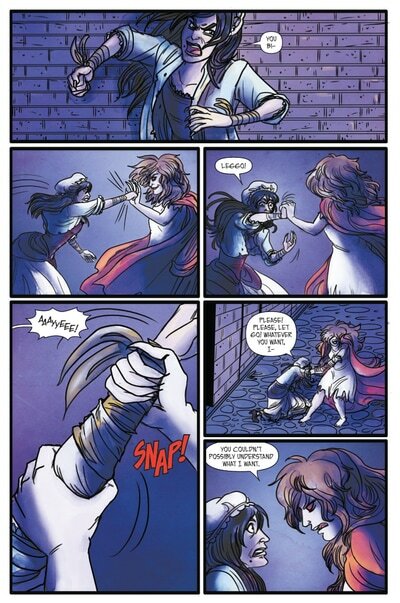 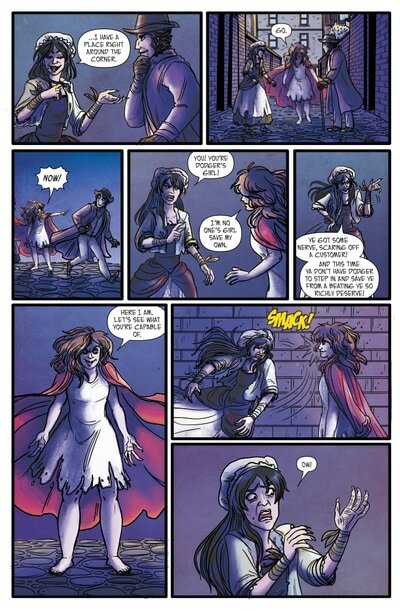 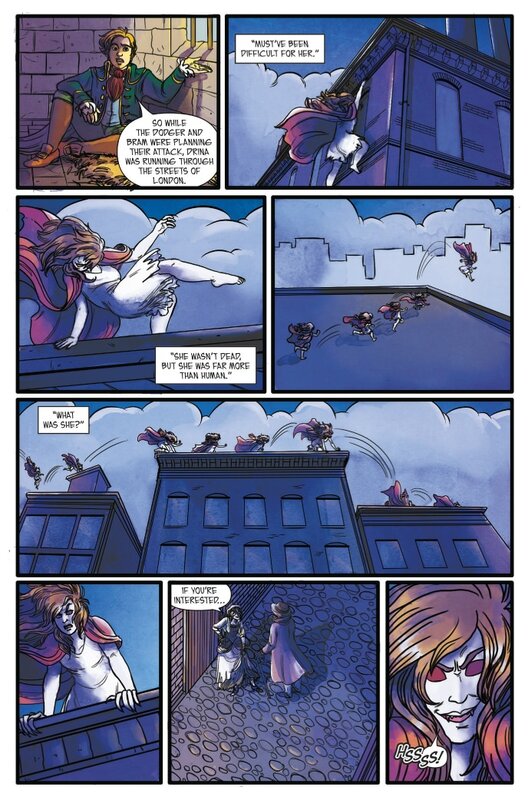 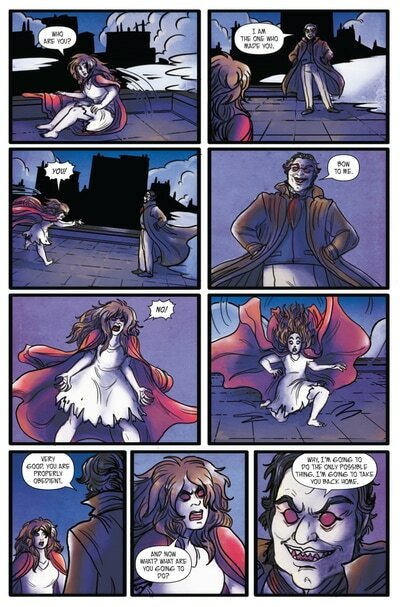 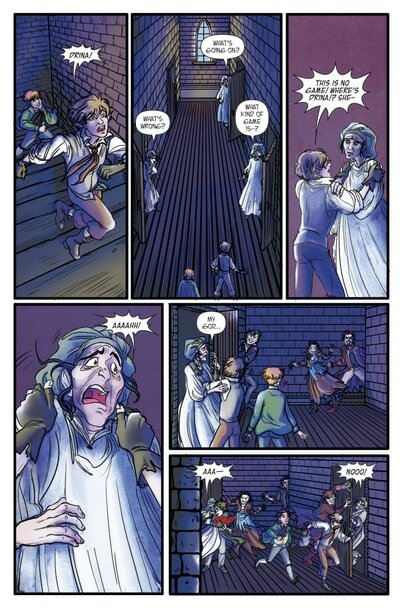 (on comiXology) ​Drina struggles to fight against her instincts. 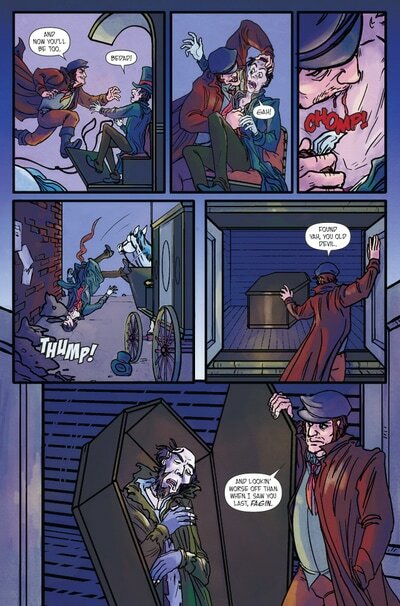 Meanwhile, Artful and Bram get into even more trouble! 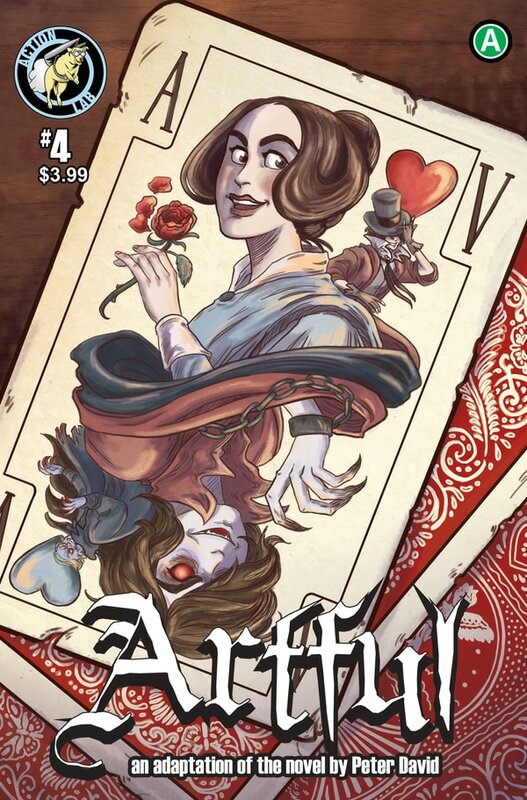 Who is friend and who is foe in the latest issue of legendary comic writer Peter David’s Artful? 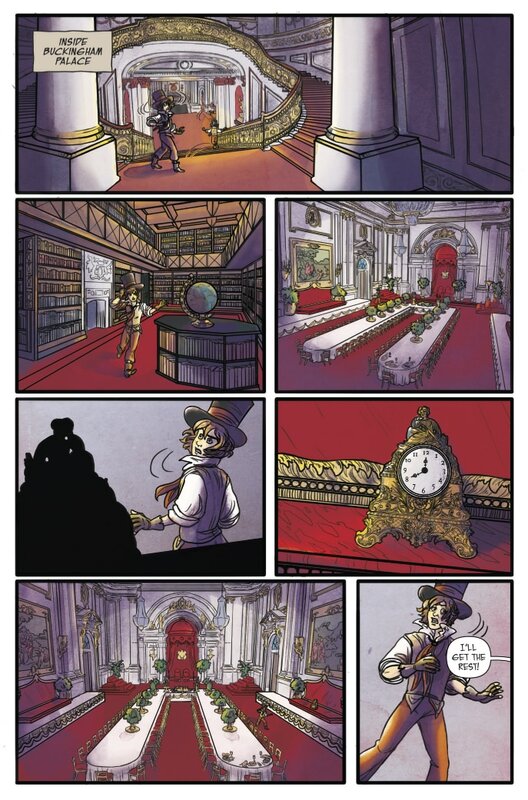 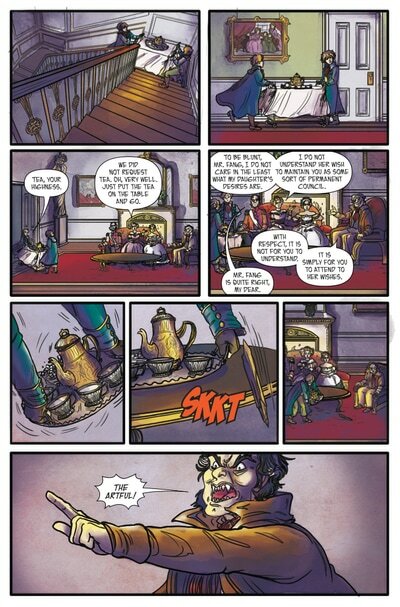 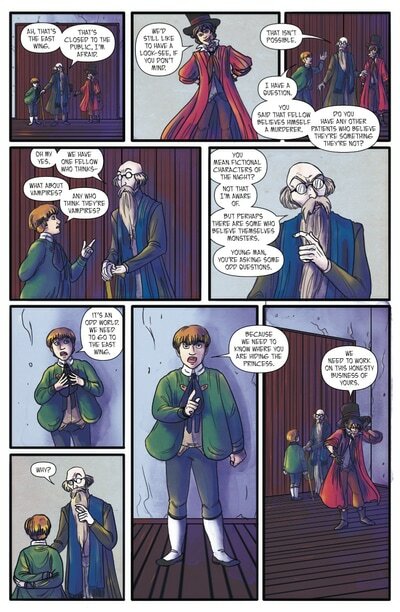 (on comiXology) Mr. Fang’s plan to take over the royal family is almost complete. 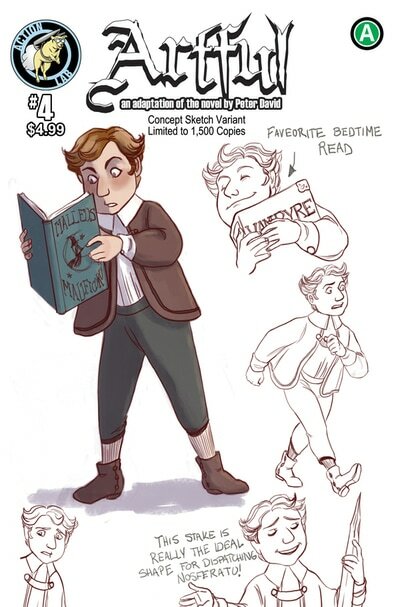 Narrator Charley Bates finally joins our tale proper! Alongside the Artful Dodger and Van Helsing’s son Bram, the group attempts to save Drina from the clutches of the nefarious Mr. Fang. 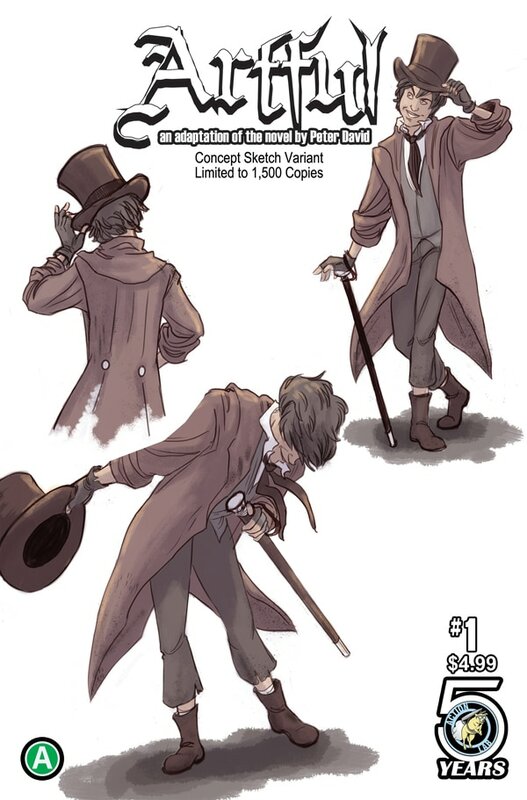 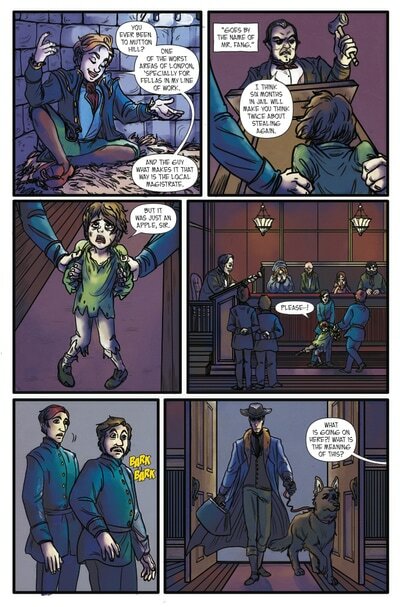 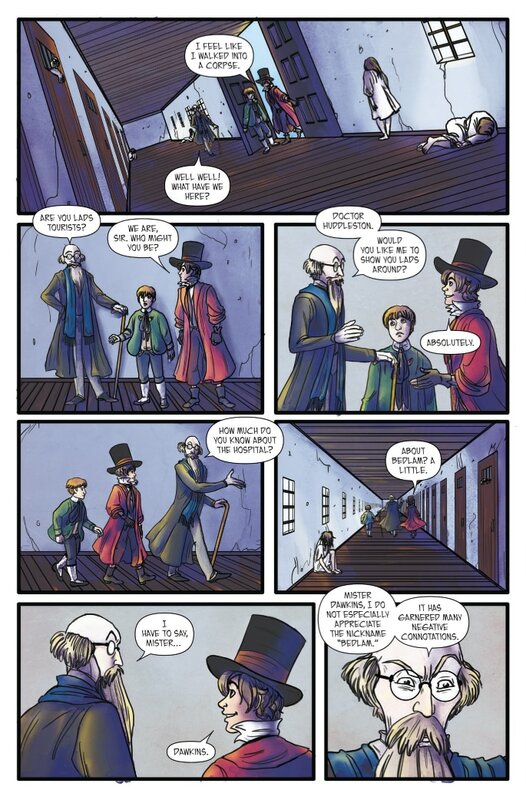 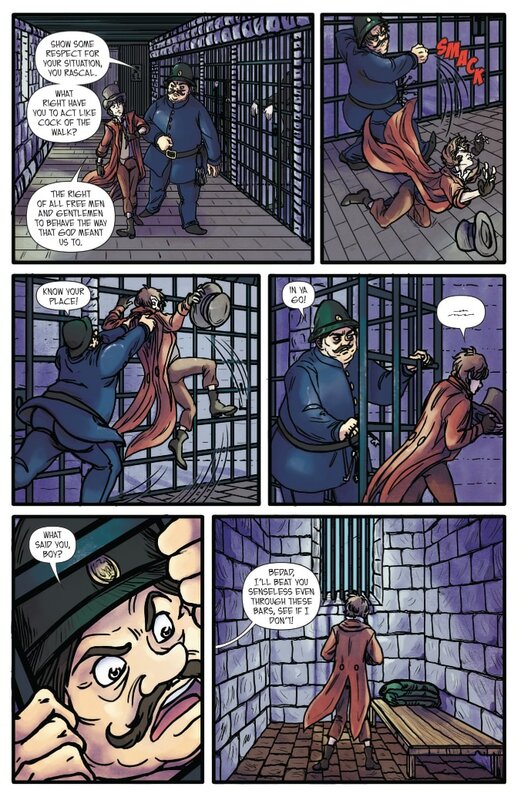 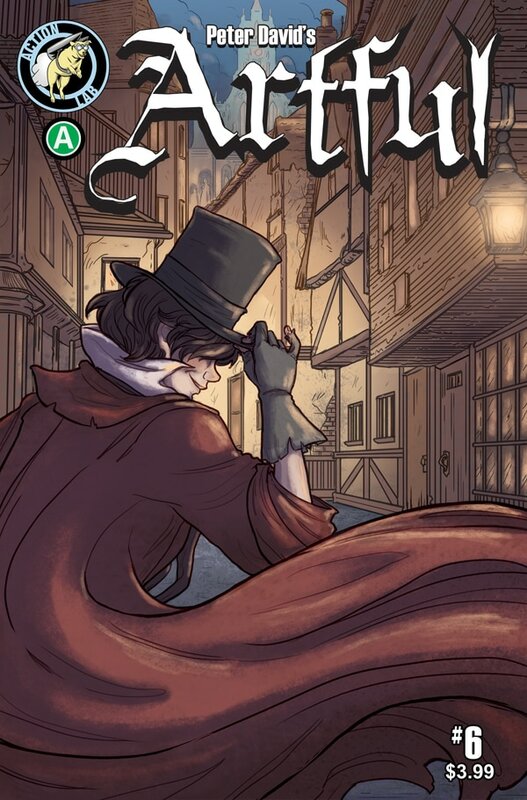 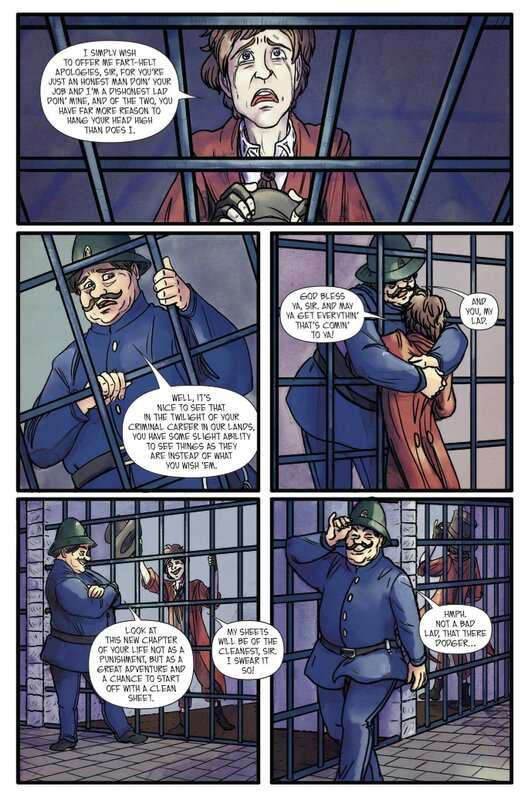 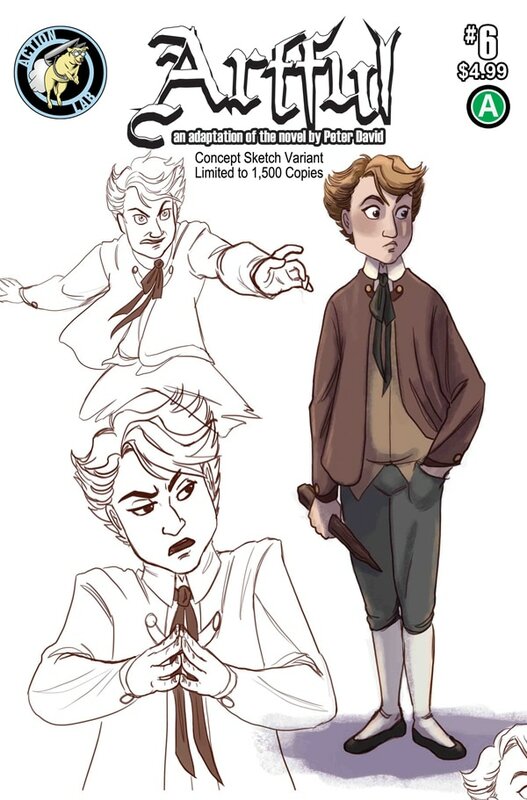 (on comiXology) An adaptations of the Artful novel by award winning writer and comic book legend Peter David, this Oliver Twist spin-off story stars the Artful Dodger as our reluctant hero. 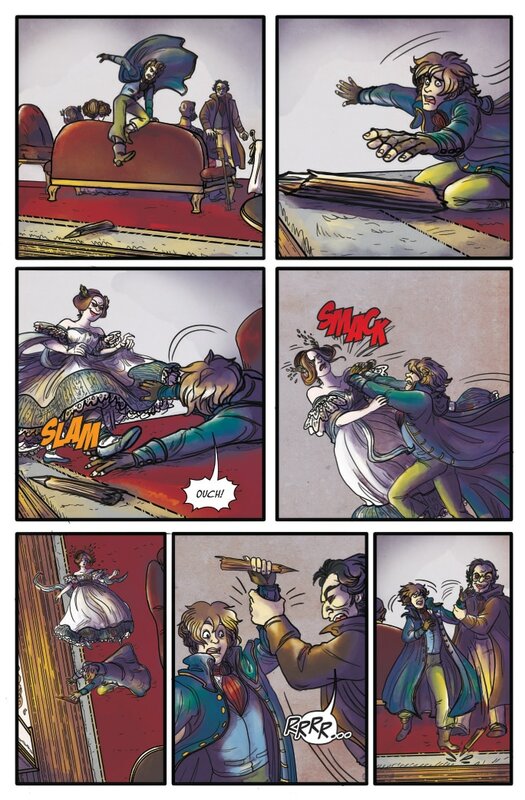 Alongside Van Helsing’s son Bram, Dodger must take on hordes of vampires to save a princess from a nefarious plot. Collects ARTFUL #1-6.